Twitter gets a lot of credit for being the place for “live” social commentary, whether it’s about moments in time (elections, etc.) or sporting events. However, Facebook has been really keen the past few years to tell advertisers they have a much larger volume ofnconversation around events… the only problem is that Facebook’s security features and the nature of the algorithmically-curated News Feed mean that users are rarely seeing conversations about an event from outside their friend circle. 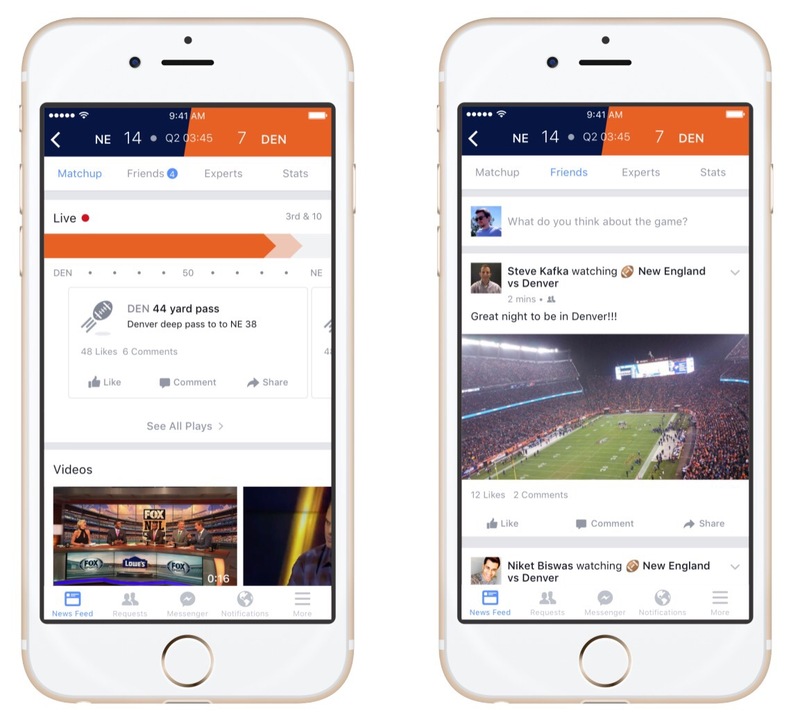 Facebook is taking a step toward creating a space to watch, participate in, and curate conversations around events — starting with the launch of Sports Stadium. Users will be able to see stats, clips, expert commentary, and posts from other fans in the experience, which is launching for “American Football” now. While this is relegated to sports right now, it’s easy to see how Facebook could easily port these moments-based conversation extravaganzas to things like the Academy Awards, political debates, and national events/holidays. These new experiences provide the future opportunity for sponsorship of events (think Red Bull having Stadium-like events for their Soap Box Derby thing), ad inclusion via sponsored content within the experiences (think stats brought to you by Bing), and through more traditional display-type ads within the experience (think Click Here to Win an iPad).